Whether you're a serious caver or spelunker or you're simply looking to explore fascinating NY attractions, see our complete list of caverns and mines in New York. 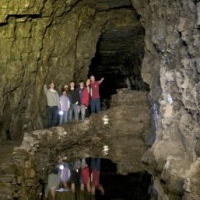 Go on exciting guided tours at these caverns in NY. Find the nicest caverns NY has to offer. The Most Fascinating Caverns in New York! Step into an elevator that brings you 156 feet below the earth's surface at Howe Caverns in New York! From that point on, you'll proceed to explore an underground cavern that's six million years in the making. Uncover secrets hidden in every crack and crevice. Hear your voices echo off the walls and ceiling. You will be led by an informative tour guide; who will educate you on the magnificent limestone formations, stalactites, stalagmites, and flowstone. Even if you're not a serious spelunker, you will marvel at the gem that is Howe Caverns. The well-visited NY attraction is open all year round and offers a series of affordable vacation packages. The Largest Marble Cave Entrance in the East! 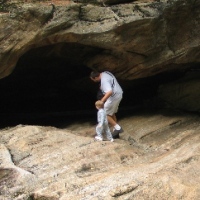 Take one of the self-guided explorations tours at Natural Stone Bridge and Caves Park in Pottersville, NY and journey through the largest marble cave entrance in the East! Originally named Ponte de Dios (Bridge of God) by early explorers, the bridge has fascinated tourists for over 200 years. Experience the many unique rock features in the marble gorge. Then journey below into the lighted surface caves, complete with raging waterfalls and tranquil dark pools. From July to August, you can take the Adventure Tour--in which you can explore additional caves in the park. As long as you're willing to crawl and get a bit dirty, you are guaranteed to have a blast! The tour ends with a cave float, where you can wash off the dirt as you explore a water-filled cave. Adventure Tours are 3 hours long and led by trained guides. You must be 13 years of age or older. 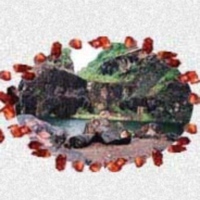 One of the World's Largest Garnet Deposits! Come explore the "Gem of the Adirondacks" with Garnet Mine Tours. During your tour, you'll be granted access to one of the world's largest garnet deposits, where you'll view some of the largest garnet crystals! During your tour you will learn the history and geology of the mine and how to dig up your own gemstones. Treasure hunting in the mines is fun for all ages! Located in the scenic Adirondack Mountains, Garnet is the oldest family-owned and operated mine in the U.S. Additional activities in the area include shopping, gem-cutting demonstrations, mineral collection, and picnicking. Weigh your Garnet rocks at the Gem & Mineral Shop, where the trained staff with help you identify each gemstone. Beautiful Mines in New York! Crystal Grove is a spacious, wooded campground adjacent to the Herkimer diamond mines. 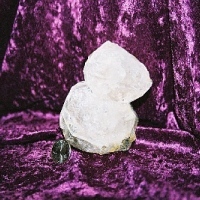 Inside the mines you will discover world-famous quartz crystals found only in specific regions of New York. The extremely clear, brilliant crystals began forming millions of years ago and have been sought-after for their exceptional beauty. At Crystal Grove you can dig for these beautiful diamonds. Even if you're not an expert prospector, you can have a great time mining for these one-of-a-kind gems. Rental tools will be available. Or you can bring your own tools! Choose from a selection of cabins and campgrounds in the area, if you want to make it an overnight trip. Tour this Wonderful Underground Cave! Explore the wonders of nature's underground passageways and marvel at 100-foot underground waterfalls at Secret Caverns in Central Bridge, NY! The caverns were formed during the Ice Age about 38,000 years ago. The trained guides lead small groups on fun-filled, hour-long tours. View ancient calcite formations, prehistoric fossils, and other fascinating artifacts. 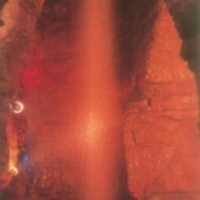 Since the temperature in the cave remains close to 50 degrees, it's suggested that you bring along a jacket or sweater. Group discounts are available for parties of 10 or more people. Plus, children 5 years or younger are free! Bus tours and school groups are welcome by reservation. An Exciting, 70-minute Tour through America's Past! Listed on the National Historic Register of Places, the Lockport Cave & Underground Boat Ride offers tourists and locals an exciting, 70-minute guided tour through America's past. Explore the historic Erie Canal Locks that were constructed in 1838, as well as ruins from an earlier industrial age. Trudge through a water tunnel and view stalactites, flow stone, geological formations, and fascinating artifacts. If you're lucky, you may even stumble upon a few fossils! 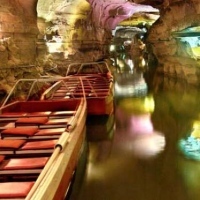 The unique and mysterious underground boat ride is a one-of-a-kind journey that never fails to please its many visitors. During the longest underground boat ride you'll get to marvel at artifacts left by miners on the Erie Canal over a century ago. Plus, you'll encounter cave formations in their early stages of development.